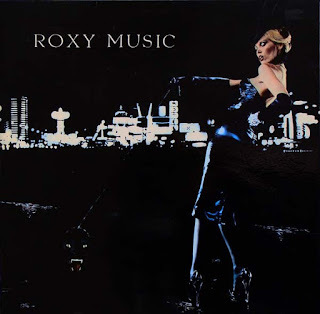 After the stylistic rush of their debut album, For Your Pleasure, recorded in February 1973 at George Martin’s AIR Studios in London, is probably the most consistent album of Roxy Music's career. While the second side contained songs that had been worked up by the band in concert and rehearsal, the first side was all new material, written by leader Bryan Ferry at a sojourn in a Derbyshire cottage. And what material it was – including “Do The Strand”, an ode to a fictional dance which ran through a catalogue of dance crazes that was to become a live favourite; the breathtaking “Beauty Queen” established Ferry in his frequently-returned-to role as night life commentator; “In Every Dream Home A Heartache”, a still-bizarre ode to an inflatable doll, is the moment where form and function unite – the group create a dense soundtrack for Ferry’s unhinged ramblings. The spirit of experimentation is never far away – Brian Eno’s stamp is all over the record, warping the sounds and adding tension to the repetitive drone of the second side stand-out “The Bogus Man”. Soon after the release of For Your Pleasure (housed in another stunning Nick De Ville-directed sleeve), the tensions between Eno and Ferry had come to a head; Eno embarked on his increasingly avant-garde solo career while Ferry guided Roxy Music ever closer to the mainstream with a series of fascinating albums, each less arty than the last.